In The Final Problem, perhaps the greatest of the short stories of Sherlock Holmes, the English detective encounters his most formidable rival, Professor Moriarty. 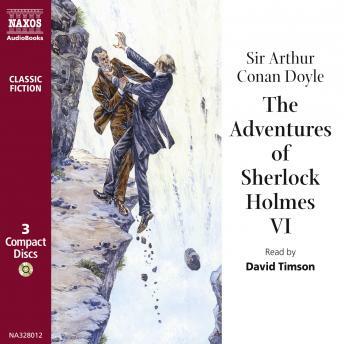 'The Napoleon of Crime' is how Holmes describes his adversary to his faithful companion, Dr Watson, as they move to the ultimate confrontation at the Reichenbach Falls. Also in this collection is the intriguing mystery of the disappearing bride in The Noble Bachelor and two threats from the past in Gloria Scott and The Resident Patient.